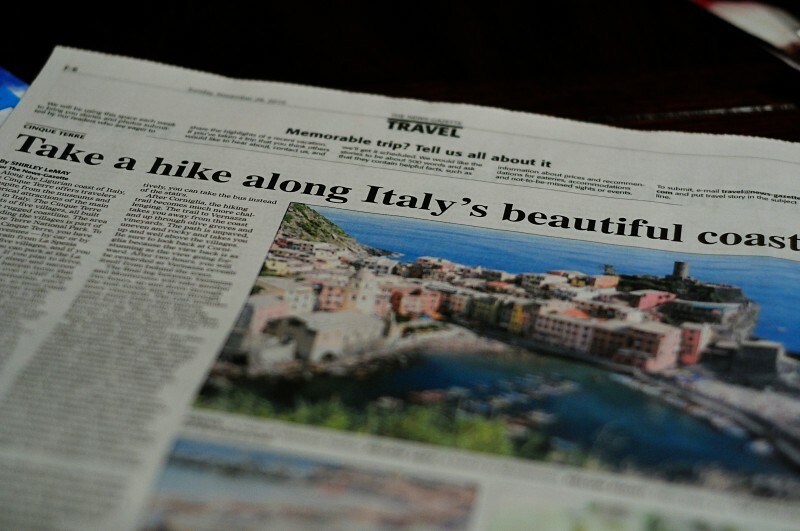 The local newspaper prints submissions from readers for their Travel pages. The article I wrote on the Cinque Terre was published this morning, along with several photos from that portion of the trip. Since I never blogged about our Cinque Terre hike between all five villages, I am including it here. 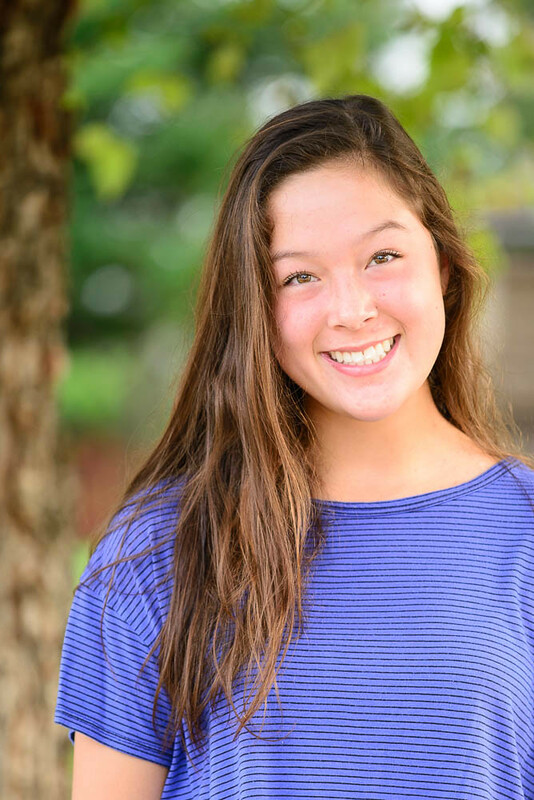 With more pictures as a bonus. Along the Ligurian coast of Italy, the Cinque Terre offers travelers a respite from the museums and historical attractions of the main cities in Italy. 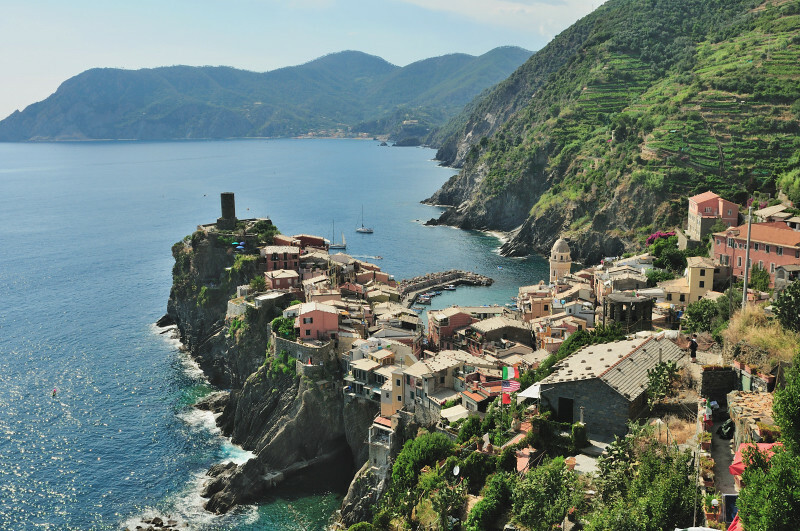 The Cinque Terre consists of five villages, all built into the rugged coastline. 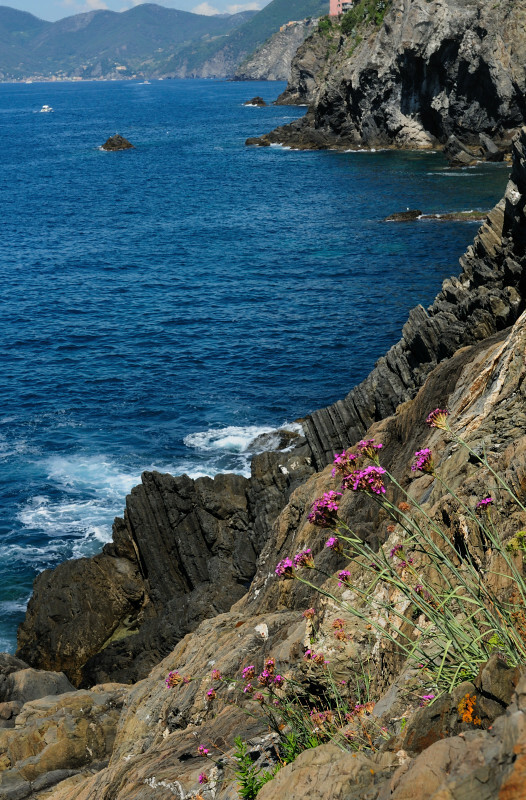 The area surrounding the villages is part of the Cinque Terre National Park. 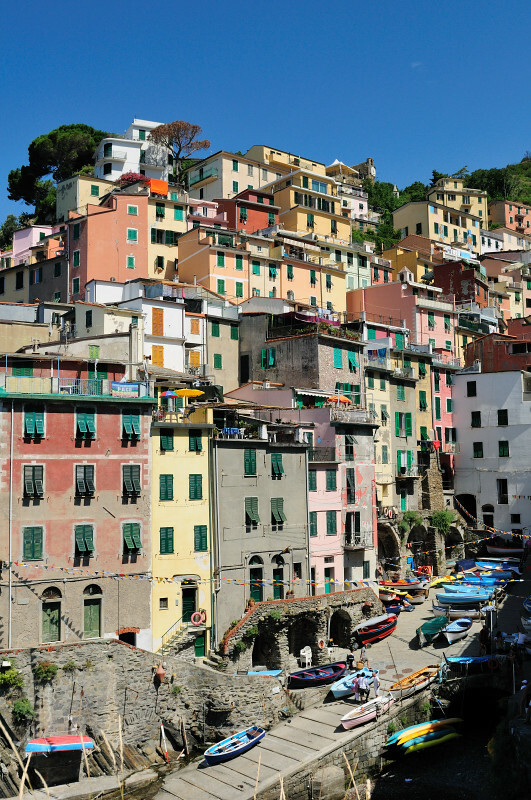 To reach the Cinque Terre, you have two main avenues – by car or by train. The train from La Spezia services all five villages and if you have a car, you can park at the La Spezia station. If you plan to drive, be prepared for steep and narrow roads as well as hairpin turns that seem to take you over a cliff. Once you reach your destination, you’ll have to park the car, as most roads are limited to pedestrian traffic. The main attractions in the Cinque Terre include beaches, breathtaking coastal scenery, and the network of hiking trails along the coast and up through vineyards and olive groves. During our visit, we chose to hike the Blue Path, or “Sentiero Azzurro”, which allowed us to experience each of the five villages. 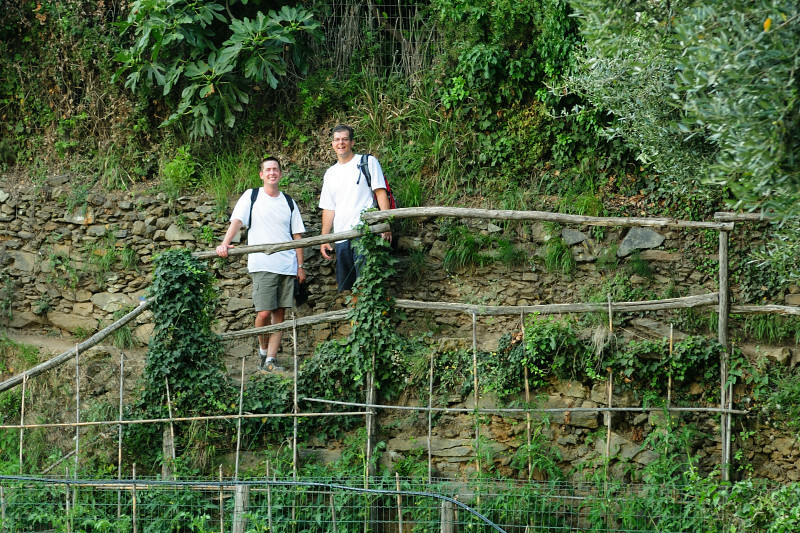 To gain access the hiking trails you must purchase a Cinque Terre Card, available at each of the train stations in the villages. A basic day pass costs 5 Euro, and multi-day passes are available. The entire Blue Path can be traversed in one day, or in portions spread over two or more days if you prefer a more leisurely pace. Perhaps the most famous portion of the Blue Path is called the Via Dell’Amore (Lover’s Walk) and takes you between the southernmost village, Riomaggiore, to its sister village of Manarola. Along the paved walk, locks and graffiti adorn the fence line, even the rocks. 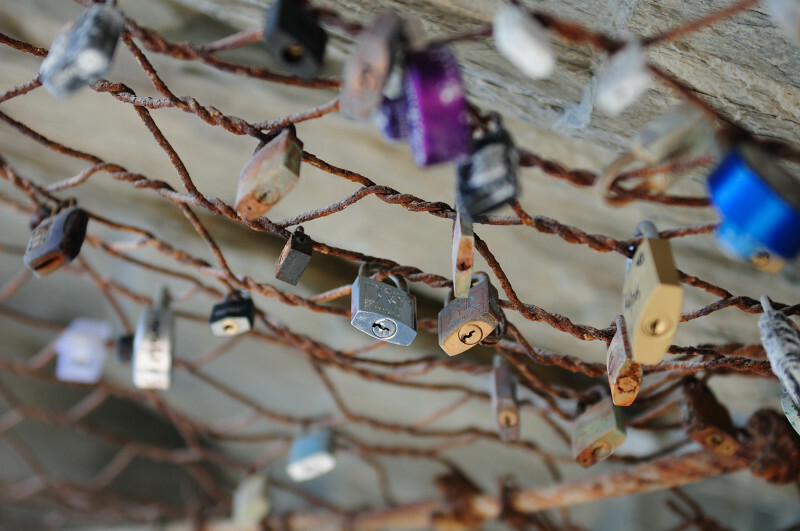 Couples write their initials on the locks, along with a date (maybe an anniversary, maybe the current date), in order to represent "locking" their love forever. This trail only takes half an hour to complete, and at the height of tourist season is extremely crowded. From Manarola, it’s a leisurely 90 minute walk along the path (portions are paved), winding you along the coastline towards Corniglia, smallest and quietest of the Five Lands. But before you think you have arrived, you must climb the Lardarina, or series of stairs, comprised of 382 steps. Alternatively you can take the bus instead of the stairs. After Corniglia, the hiking trail becomes much more challenging. 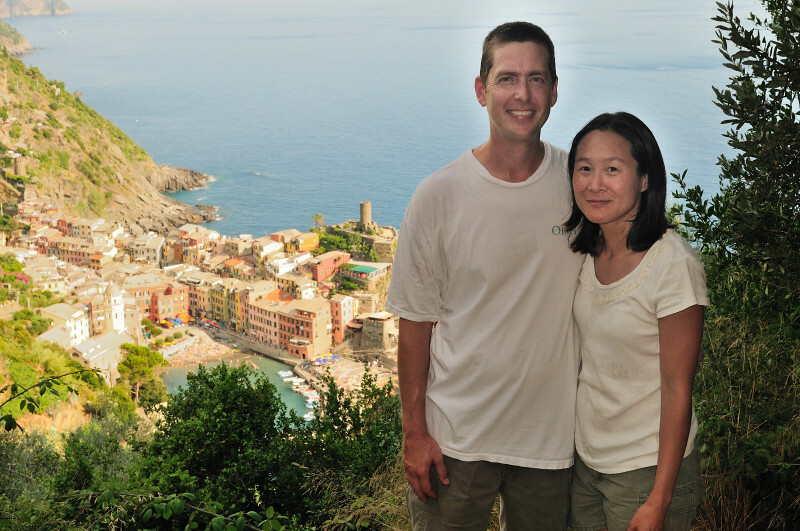 The trail to Vernazza takes you away from the coast and up through olive groves and vineyards. The path is un-paved, uneven and rocky and takes you up and well above the villages. 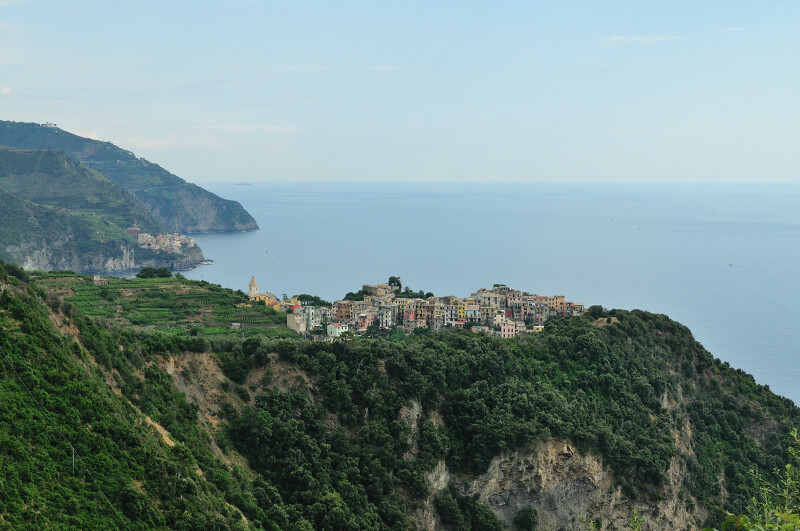 Be sure to look back at Corniglia because the view back is as stunning as the view going forward. After two hours you will be rewarded as Vernazza reveals itself from behind the trees. The final leg between Vernazza and Monterosso will take another two hours, up and down through the lush forest and then through more vineyards. The trail includes steep stone stairs and narrow paths, but is less rocky than the previous leg. 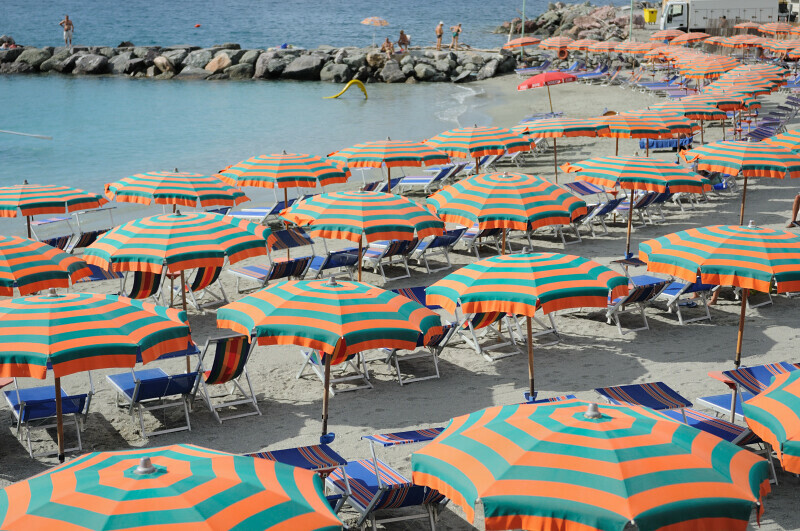 Once you reach Monterosso, you can dip your tired feet in the turquoise waters of its large, sandy beach front. 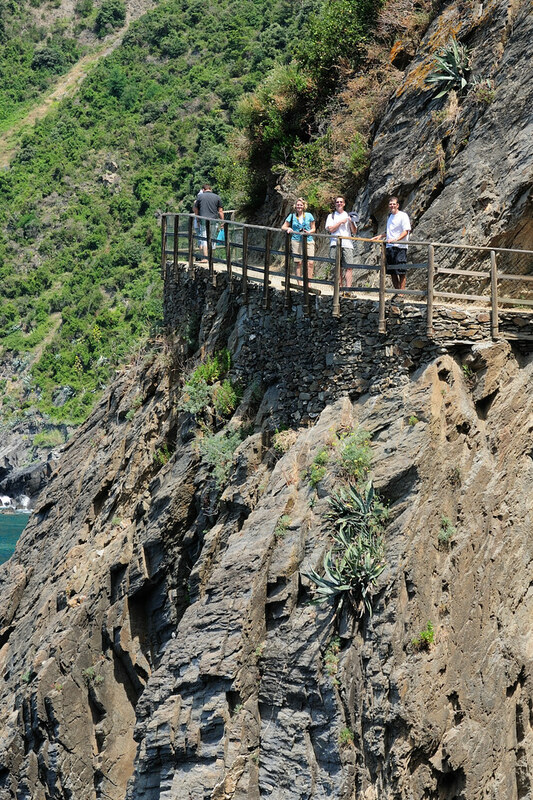 Our Last Look at the Hiking Path once in Monterosso. Can You Tell the Sun is Setting? I think we arrived back around 7pm. The hike took us over 8 hours! In between each leg of the Blue Path, we took time to rest and explore each village. The villages of Riomaggiore and Manarola are a delight to wander through, with narrow, winding alleys, colorful Italian buildings and boat filled marinas. In quiet Corniglia, we enjoyed lunch at an outdoor café in the small piazza. 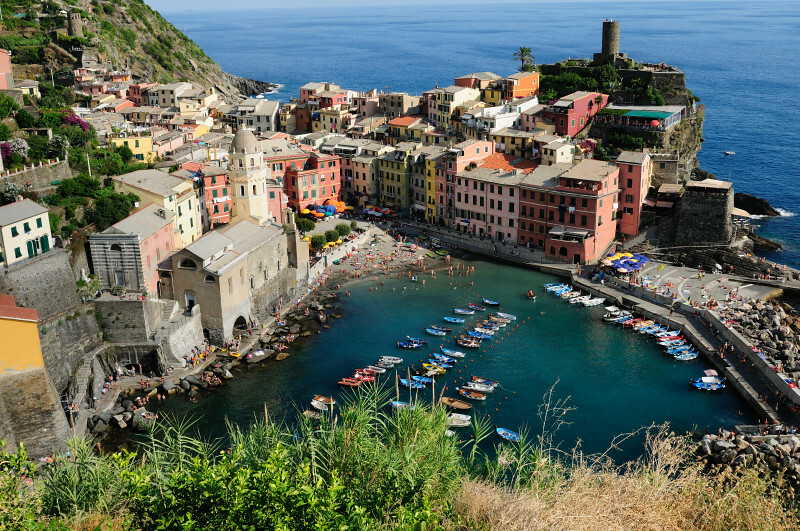 Vernazza’s main plaza opens up to a small beach and harbor. Two towers flank the town – the clock tower of the Church of Santa Margherita d'Antiochia and the Doria Castle. 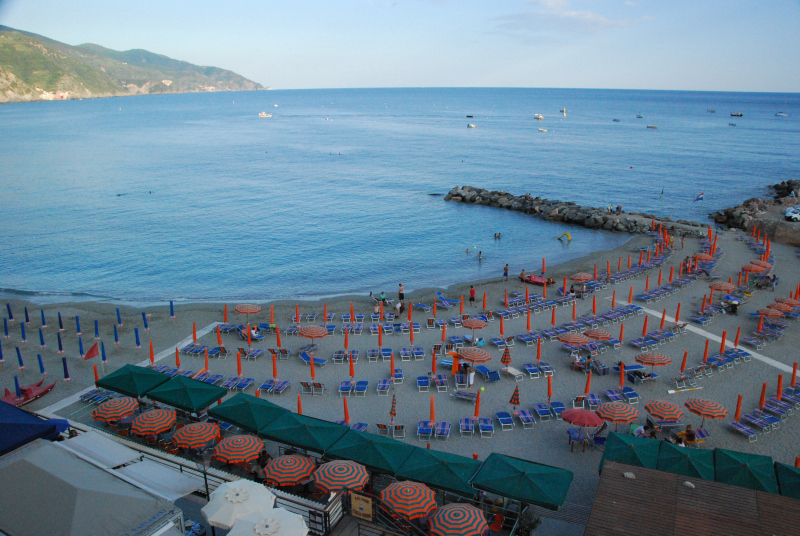 Of the five villages, the northern most Monterosso Al Mare feels more resort-like and touristy. Monterosso boasts a large sandy beach and numerous modern hotels - perhaps not as quaint as the other villages, but with plenty to see and do. Rooms rates during the summer range from $100 for basic accommodations to upwards of $250 for a three star hotel. Off season rates will be lower, and the area less crowded with tourists. 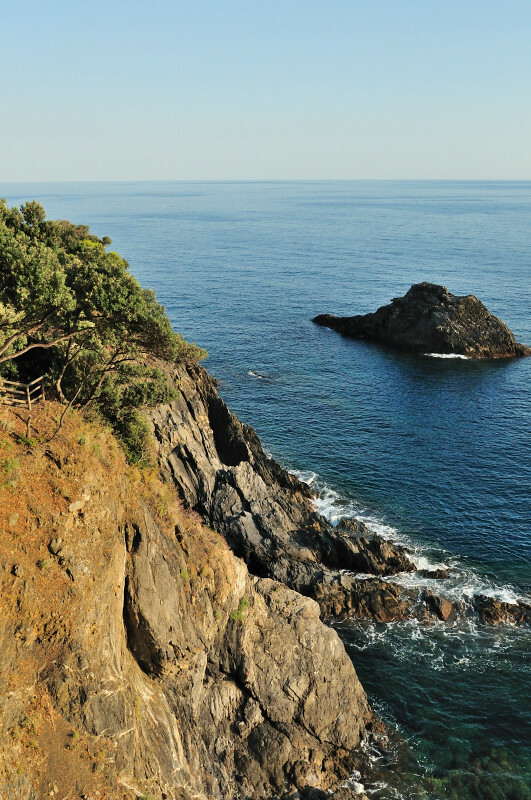 With so much natural beauty, the Cinque Terre is a beautiful diversion to enjoy. Even if hiking isn’t your thing, you can still relax on the beach, eat delicious seafood, pasta and gelato – all with a beautiful view of the sea. Are your ears still ringing from the shout of joy reverberating through the universe when I read this in Google Reader? WHOOT!! I am so happy for your publication, Shirley. Good for you!!! 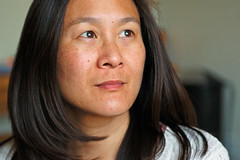 Wow, these are beautiful images! I want to go!